#BrickandGable has a truly well-balanced design. 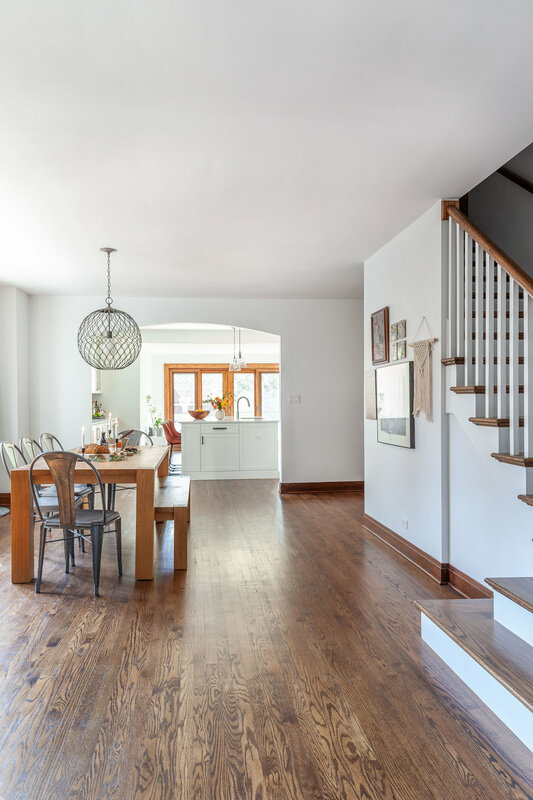 It has all the charm this historic house started with, but with some clever space planning, we were able to eliminate the challenges. It has modern moments, but when you add up all the classic details, settles into a more timeless narrative. Click here to see how far it has come! The kitchen received the biggest makeover. Space was added with the elimination of a stairway and pantry. A new back entrance was incorporated with large sliding doors and an exterior stairway. The arched wall leading into the kitchen is a nod to an old architectural detail of the home. A wall similar to this had to be removed during remodel, so it was recreated it here. 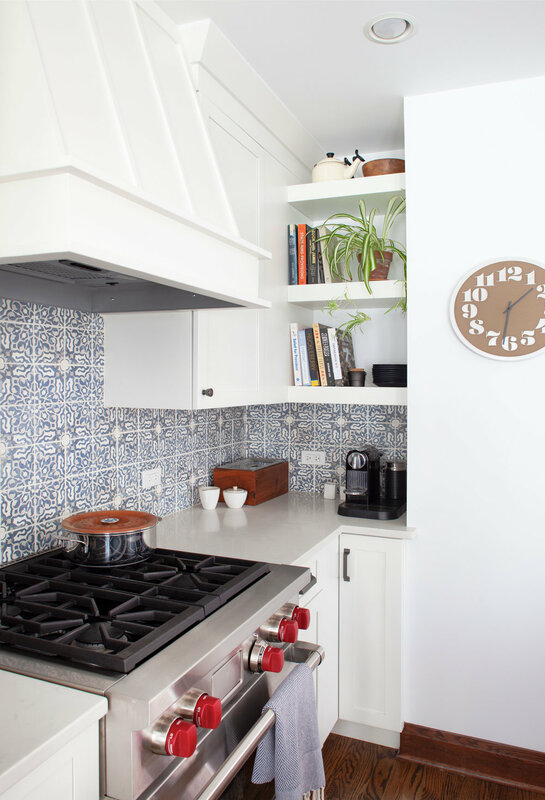 The tile breathes life into the kitchen! Made by Walker Zanger, this hand-painted Moroccan mosaic creates that special kind of design depth we love! It definitely adds dimension, offsetting the clean white cabinetry and countertops. Since a kitchen pantry was eliminated, we did have to be creative with storage. In addition to the cabinetry, floating shelves make this little nook extra functional. Since this side of the kitchen doubles as an entryway, we added extra storage and a bench to switch shoes Mr. Rogers style. We bumped into the dining room a bit to make room for the double stairway. During demo we found a few things that required us to move the new staircase approximately 10 additional inches from the wall. We turned lemons into lemonade and added this beautiful built in bookshelf! And this is the view from the front door, we’ve come full circle! Just wait until you see the bathroom remodel, coming soon!